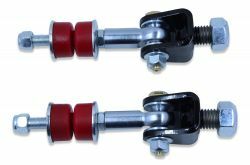 Our spherical rear sway bar end links connect to the chassis with a chrome plated self-lubricating Teflon® lined chrome moly spherical joint that provides a bind-free connection for maximum handling performance. 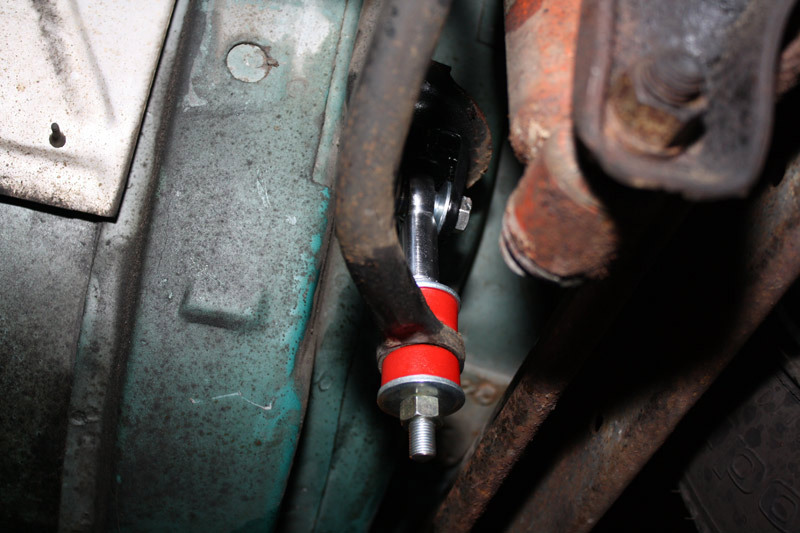 It doesn't matter if you're running a factory rear sway bar or a larger aftermarket rear sway bar, our spherical rear sway bar end links will allow your rear sway bar to reach its full potential. 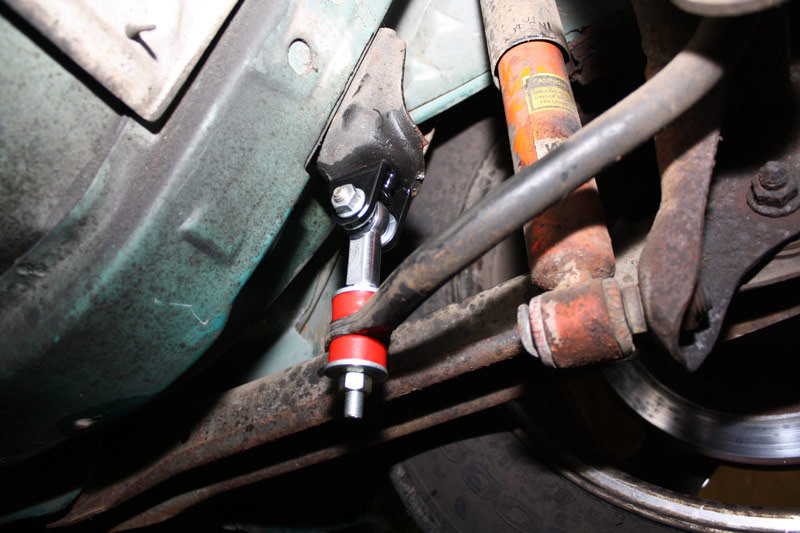 The amount of stress applied to the rear sway bar end links is severe and you need an end link that is not going to flex and/or bind up to obtain the maximum handling performance you're looking for. You simply bolt the supplied CNC laser cut and formed 3/16" steel clevis to the rear upper end link mount on the chassis using basic hand tools. The clevis features a gloss black powder coated finish and all required mounting hardware is included for a simple bolt in installation. 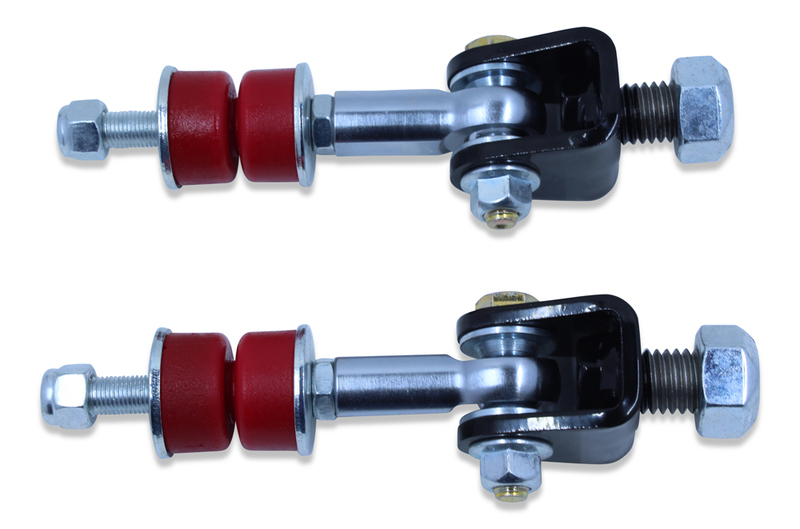 The bottom of our spherical rear sway bar end link connects to the rear sway bar with low deflection polyurethane bushings. A silver zinc plated high strength 4140 chrome moly threaded stud keeps everything connected together.